Atherton’s new civic center consists of multiple new buildings including City Administrative Buildings, police ancillary building area and Library building. 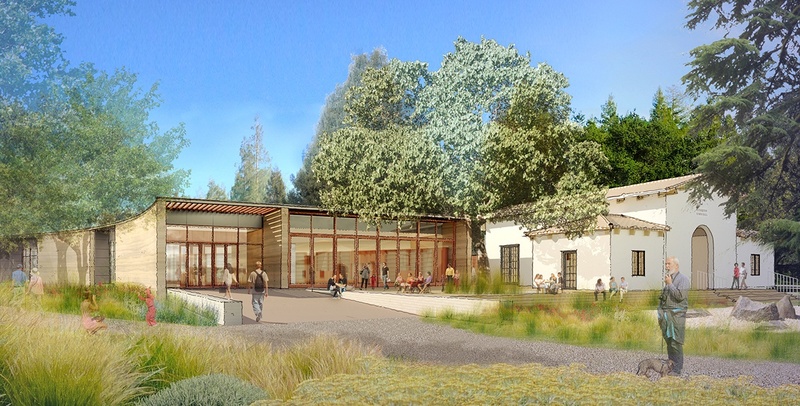 The project is aiming to be a sustainable beacon, representing the Town of Atherton’s virtues (climate and place) and celebrating the Town’s ideals and goals. These goals are demonstrated through LEED Platinum and Living Building certification. Multiple sustainable design strategies are necessary and include: solar thermal for domestic hot water, photovoltaics, geoexchange system, displacement air distribution, lighting and daylighting controls, demand based ventilation controls and low-fow fixtures.